Looking for latest Bank Jobs? and especially thinking about the IBPS Recruitment 2018? then this page is for you to give a clear idea. As per the latest news, many of the Job lovers are enthusiastic to make their bright future in Institute of Banking Personnel Selection. 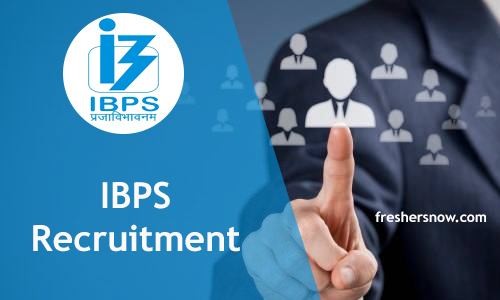 As the new year is starting the IBPS is ready to recruit the proficient contenders into their organization. Almost all the arrangements made by the officials. In the upcoming months, there are planning to release the IBPS Notification 2018 for Various Clerk, PO, SO Vacancies. Hence, interested and eligible candidates can apply for the IBPS Openings 2018 from this article through online mode. In this article, we are going to provide a precise opportunity that is available in the IBPS. Any eligible contenders those who aspire to join in any of the Clerk, PO, SO Vacancies are required to register themselves by visiting the official website of Institute of Banking Personnel Selection that is www.ibps.in. Allahabad Bank, Andhra Bank, Bank of Baroda, Bank of India, Bank of Maharashtra, Canara Bank, Central Bank of India, Corporation Bank, Dena Bank, IDBI Bank, Indian Bank, Indian Overseas Bank, Oriental Bank of Commerce, Punjab National Bank, Punjab & Sind Bank, Syndicate Bank, UCO Bank, Union Bank of India, United Bank of India and Vijaya Bank are the Banks participating under IBPS. Institute of Banking Personnel Selection is ready to release IBPS Recruitment 2018. The given recruitment is related to the IBPS Clerk, PO, SO Notification 2018. So, contenders, those who are seeking for Bank Jobs can grab this chance. Apply the IBPS Openings 2018 on given dates from the official website or from our site. Aspirants are informed that keep in touch with the official website of Institute of Banking Personnel Selection that is www.ibps.in for the details and latest updates. Those who have completed their registration process successfully are only promoted in to the next step. There is a huge demand for Probationary Officer, Specialist Officer and Clerk Openings. nowadays. Those who possess any degree are eligible to apply for the IBPS Recruitment 2018. The authority will release the Clerk, PO, SO Notifications separately. Those who have a dream to work with the IBPS can clutch the valuable offer. To avoid last minute rush it’s better to hurry up apply before the due dates. In the below section you can get the pretty data related to education qualification, age limit, age relaxation, Application fee, selection process, pay scale etc. The Education Qualification for the IBPS Clerk, PO, SO Openings 2018 is Engineering/ Technology Degree in Computer Science/ Computer Applications/ Information Technology/ Electronics/ Electronics & Telecommunications/ Electronics & Communication/ Electronics & Instrumentation, Post Graduate Degree in Electronics/ Electronics & Tele Communication/ Electronics & Communication/ Electronics & Instrumentation/ Computer Science/ Information Technology/ Computer Applications, Graduate having passed DOEACC ‘B’ level in any recognized university. The minimum age limit for the people is 20 Years and the maximum age must be 28. The age relaxation is applicable as per the Government rules and regulations. We all know that there is different age relaxations for each category. Soon we will intimate about the exact age relaxation related to this page. Uniquely, the Institute of Banking Personnel Selection selects the candidates by conducting few of recruitment rounds which we have given in this section. The first round of the selection process is Prelims. After prelims, all the contenders need to clear mains examination. The written examination for prelims and mains will be conducted through online mode at various examination centers across India. Those who clear the prelims are only eligible for mains. After that selected contenders into the written exam need to attend for the personal interview on the scheduled dates. The interview round will be very tough and tight. The selected contenders will receive an impressive pay scale from the officials of Institute of Banking Personnel Selection (IBPS). Aspirants have to apply through online mode between the given dates.